When the whole question of whether to charge fees was put under review by the Secretary of State, we didn’t know what would happen next. Fortunately thanks to agile working and the smaller, incremental improvements we were making, we realised we could keep on delivering value. 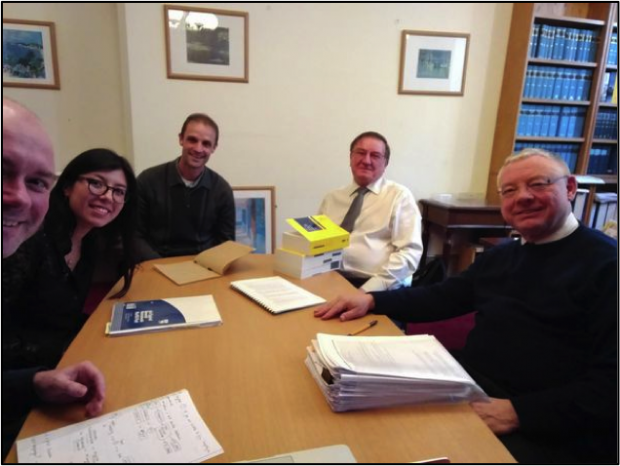 When tax tribunal fees were put under ministerial review, our project goal became a pending decision beyond our control. While such a major change might halt a project in its tracks, we were able to adapt quickly. In one sprint we designed, built and tested a new prototype to show how our fee-free service could work. Everyone, including the tax tribunal business and operations teams, refocused on a new goal of moving to a private beta trial service within 6 weeks. Being able to pivot quickly was only possible because of what we had in place already. We’re a small service so we’ve always kept a tight rein on budget. This is where government as a platform has helped - we’ve looked to use other services at no extra cost where possible. We’re using GOV.UK Notify for email communications to both end-users and business teams. We’ve also integrated GOV.UK Pay so the service can handle online payments if tribunal fees are introduced. We’re conscious about giving back too. 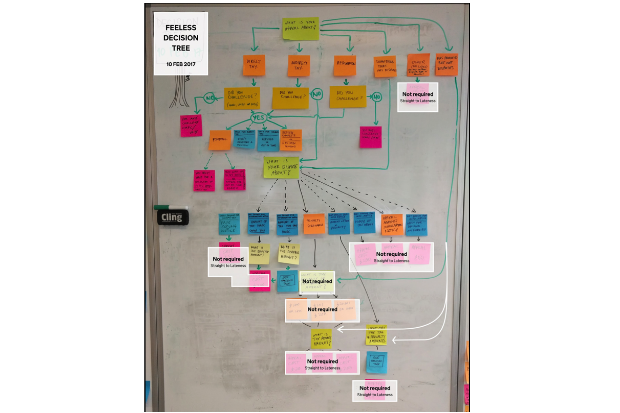 We’ve taken a task list design pattern from GDS and proved it makes a complex online journey feel simple. We’ve also created ‘document upload’ and ‘save and return’ components ready for re-use by other HMCTS projects and across government. Working on digital services often brings out issues that users have in other areas of government. We met 100s of taxpayers, accountants and lawyers with diverse tax disputes – from late filing penalties to money laundering claims. 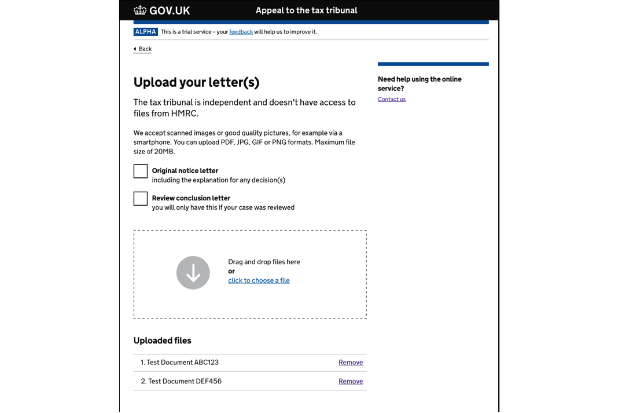 Where a user’s experience with HMRC ends, and a tribunal appeal starts, is with a letter from HMRC. Our research showed the letters were a source of confusion. To fix this we worked with HMRC to make the wording clearer for anyone wanting to appeal to the tax tribunal. Similarly the start page on GOV.UK doesn’t always work well for users. We’ve been piloting a new way of working with GDS to improve the content and reduce friction with service teams when a start page goes public. Our work has benefited hugely by creating things together with those involved in a user’s wider journey - the judiciary, policy, business teams, and technical partners behind the true-time connection with the case-management system. In return, we hope our immediate knowledge of user needs has had a positive impact beyond our service from policy amendments and redesigned paper forms to contact centre scripts. We are currently inviting people to join the private beta trial. If you know of anyone who would like to use the new tax tribunal service, please email taxtribsfees@digital.justice.gov.uk.